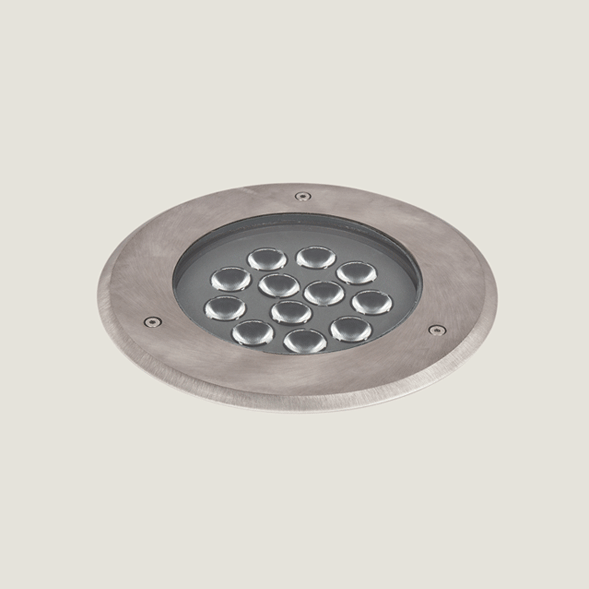 Outdoor on floor light Flora Midi is a recessed mounted uplight led wall washer. Connecting cable and safety plug for portable installation. The used Led technique offers durability and optimal light output with low power consumption. 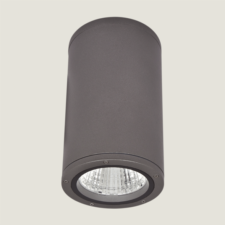 The main body of the luminaires is stainless steel that absorbs the pressure loads. The luminaires can be driven over by vehicles. The front frame is 316-grade stainless steel resistant against high corrosion factors of outdoor conditions. 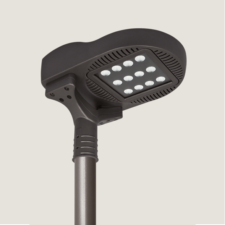 In order to be easily flush mounted on the ground, a plastic mounting outer body is being supplied with the luminaire. 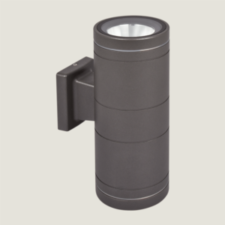 Flora Midi is an outdoor on floor light with 13.50w LED, IP67, IK10. Outdoor on floor luminaire with high protection class. Safe structures through the tempered pressure resistant glasses. Easily accessible luminaires through the in-ground recessed boxes. Max weight resistance: 3000kg. Led colour temperatures optionally 3000K, 4000K and 6000K. 316-grade stainless steel frame. Symmetrical light distribution with 6°, 25° and 55°. Led colour temperatures optionally 3000K, 4000K and 6000K. Stainless steel resistant against high corrosion factors of outdoor conditions. Easily accessible luminaires through the inground recessed boxes.